Beginner’s Guide: Where do I find plugins and which ones do I need? After installing WordPress, every newbie must first learn how to install a plugin. A WordPress plugin can be set up in different ways. 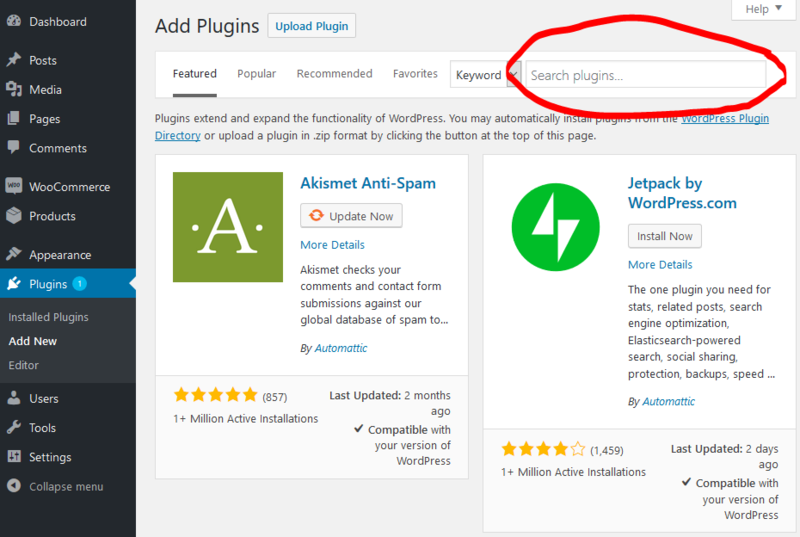 In this guide we cover 2 methods, using the plugin search and a WordPress plugin upload. The WordPress plugins directory contains thousands of free WordPress plugins. Call the administration of your WordPress, go to Plugins and then to Install. You can then search using either a plugin name or a plugin function. 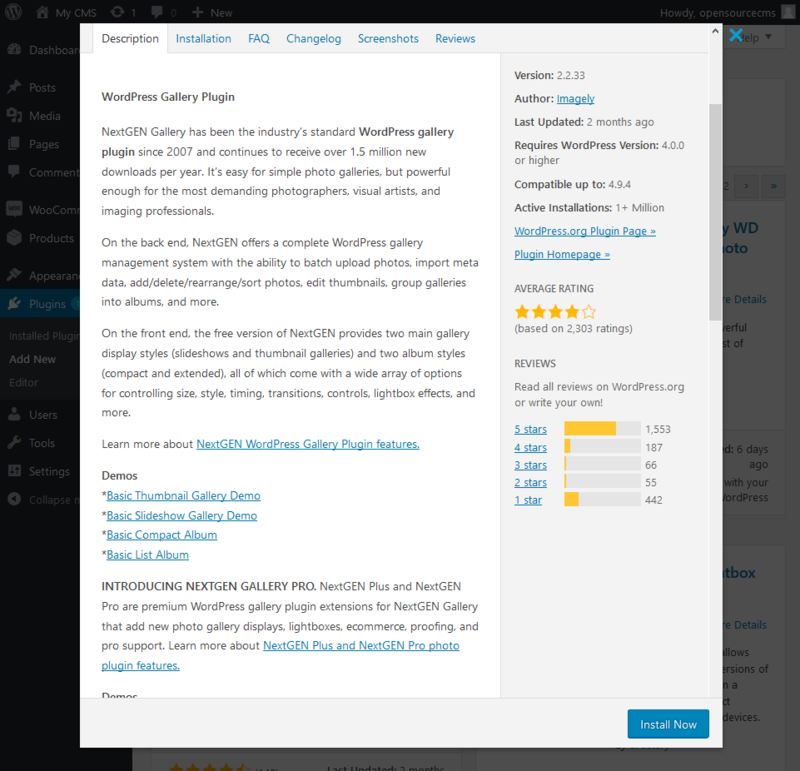 WordPress then searches the entire plugin directory and displays relevant plug-ins. The results should then be carefully checked. 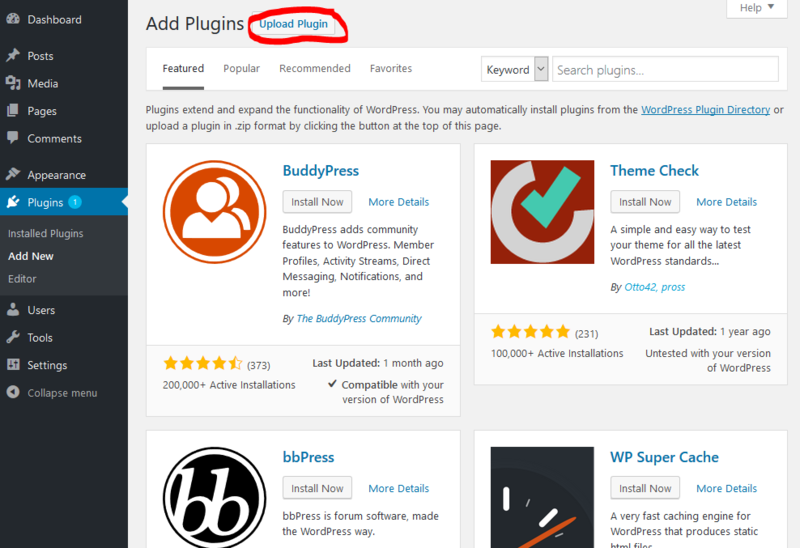 Click the Install Now button to add the plugin to your WordPress. More specific information about the respective WordPress plugin can be obtained from the further details. However, the search results are not always helpful, as the result is limited to free plugins. A large number of paid plugins can also be found in our offer. A general cons of free plugins is in particular the fact that they are offered without guarantee and without support. The plugin author can also stop updating or keeping it compatible with the current WordPress version at any time. If you need a lot of support and regular updates, you better look for a paid plugin with support. Premium WordPress plugins cannot be found in the plugins directory of WordPress and cannot be installed with the first method. A premium plugin must now be manually uploaded to your used plugins. 1. First download the plugin from the original source. Avoid using any pirate copies from the Internet, they may contain malicious code. 2. Now call the administration of your WordPress, go to Plugins and then to Install. Then click the Upload Plugin button at the top of the page. 3. you will then get to the page to upload a plugin. Then simply click on the Browse button and select the desired plugin file on your computer. Once you have selected a file, the plugin can now be installed in your WordPress using the Install Now button. 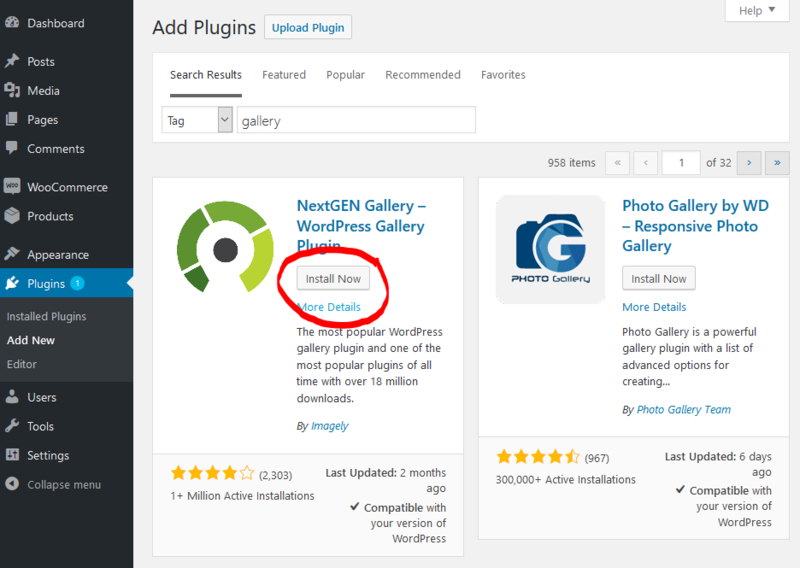 WordPress will now upload and install the selected plugin. 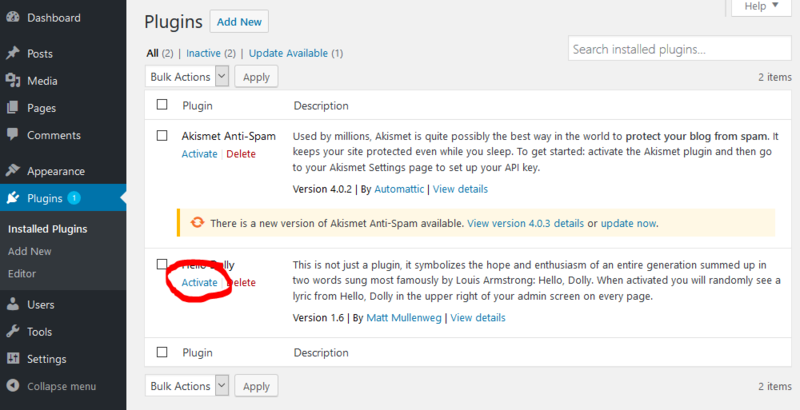 After the installation is finished, a success message is displayed and the plugin is now listed in the plugin overview. 4. Now you just have to activate the plugin to use it. Your website would be fully functional without additional plugins, but some basic plugins should not be missing on any website. What exactly these are, we'll introduce you to here. Many beginners do not know what caching is and why a caching plugin should be installed. This speeds up the loading time of the website and also reduces the load on the database. Everyone protects their home with a lock, their devices with anti-virus software and their website best with a security plugin. Your website is available 24/7 on the Internet and is regularly scanned with spyware. Our security plugin closes security holes and protects your WordPress admin area. Nobody likes spam. Unfortunately, however, an industry for spam comments has emerged. Do yourself a favor and use an anti-spam plugin or make appropriate basic settings to forbid comments. Akismet is one of the best plugins and is pre-installed in WordPress. The basic version is free and should be sufficient. Today, SEO is an indispensable part of a website. To get the most out of your content, you need an SEO plugin. These plugins may not work magic, but they will help you to get the most out of your website. How you can use SEO effectively and get good backlinks, we have explained in some articles. Are social media plugins really among the basic plugins? Yes, of course. You can also wait until your website has enough visitors or simply take it into your own hands and use social media effectively. Social Share Plugin: Is an optimal solution so that visitors can quickly share your content in the social media. Blog to Social Plugin: Distribute your content in the social media automatically, optimized and at the best times. Attention: Not every social media plugin is necessarily suitable, some can negatively influence the loading speed of your website. You spent a lot of time on your website, creating content, writing articles and building up a lot of visitors. In the worst case, all your data may be lost due to a defect on the server's hard disk. Creating regular backups is therefore one of the most important maintenance tasks. There are many powerful WordPress backup plugins that can create complete and automated backups. Webdesigner and developer, who likes to build beautiful things with WordPress and write about them afterwards. His interests include technology, usability and time management.